The Portal Mid-Tail is slightly shorter than its Long-Tail cousin and is the perfect solution for those who want a fast and simple way to get their work done! Shorten your commute. Grow your business. Transport your family. Finish your chores. Save your time. Clean up your city. Regain your freedom. A couple of gas cylinders? You got it. A few weeks worth of groceries? Done. A pair of your closest friends? Hop on. Portal Cargo Bikes can handle up to 140kg of cargo plus the rider, easily handling your business and everyday needs. Tall or short. Woman or man. Child or adult. Experienced cyclist or newbie. Portal Cargo Bikes were designed to fit everyone's needs, save everyone's time, and to improve everyone's life. Don't let that big hill on your commute scare you. There is no need to get off and push. 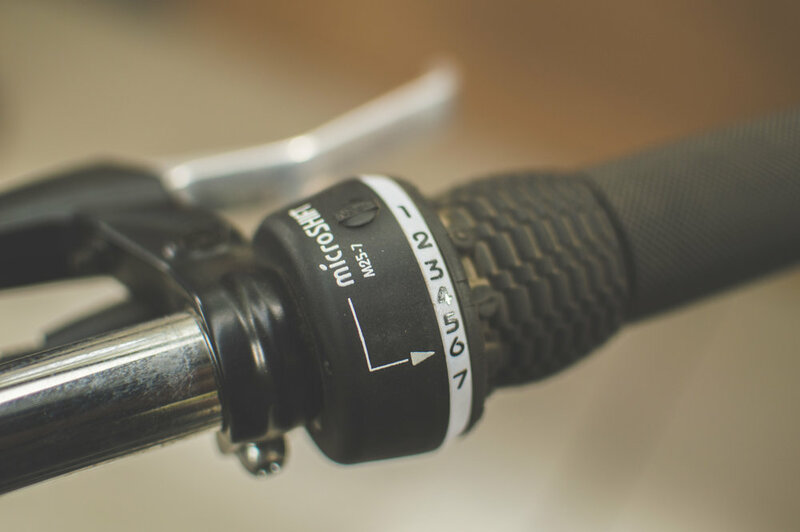 Our bikes come standard with a 7-speed gear set, complete with our mega-range gear to help conqure even the steepest of climbs. Whether you're navigating crowded city traffic or you are coasting downhill, you can always rest assured that you will stop when you need to. 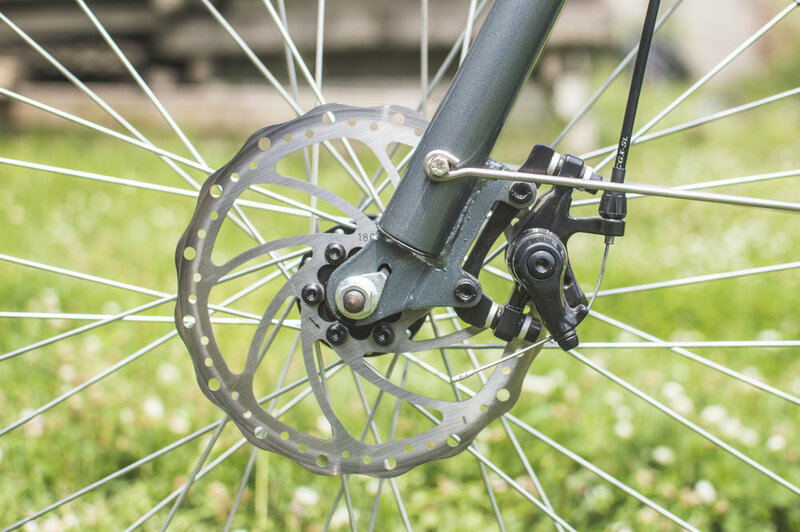 Rain or shine, wet or muddy, your disc brake is certain to keep you safe and ready for your next ride. While carrying a heavy load, your wheels should be the least of your worries. And now they will be since our wheels are made for STRENGTH! These 12 gauge spokes can handle any load that you can throw at it. 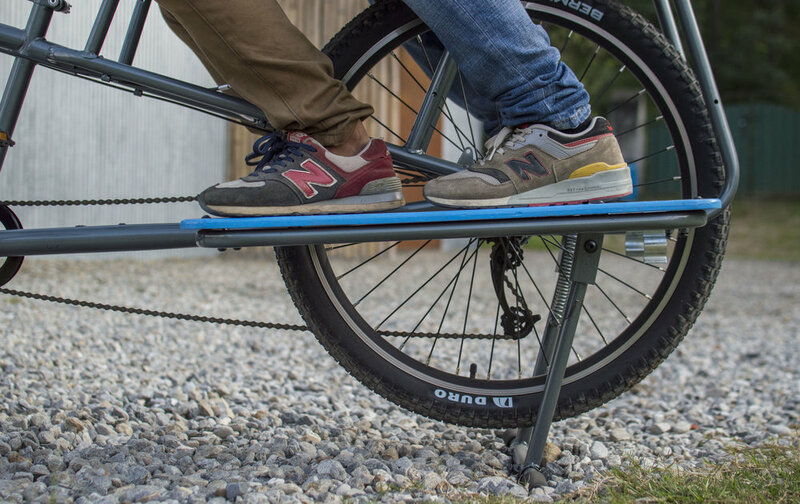 Not only can you ride your bike with ease, but you can also park your bike with ease! Our heavy duty kick stand ensures that your bike will withstand a heavy load even after you have reached your destination. 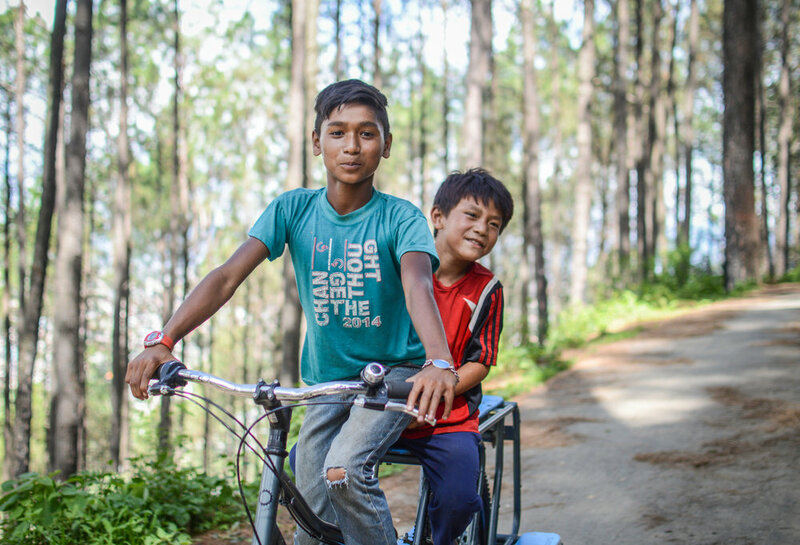 Our panniers are made in Nepal and will help you get the very most out of your Long Tail bike. These panniers are strong, adaptable, and nearly impenetrable to weather. Click below to know more and to learn how to buy one!